As a brokerage company, D Zone Insurance is able to shop around for the best quality deals during these trying economic times. The insurance companies we represent, respect the interests and goals of each party. We can recommend the best insurance products, based on the needs and suitability of our clients, we are aware that insurance is not a “one size fits all” purchase, by acknowledging this fact we are able to advise our clients through the phases of their lives. 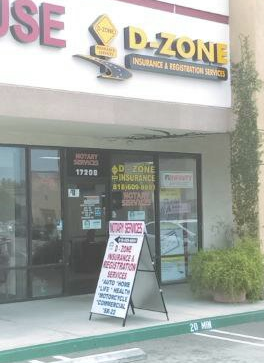 D Zone Insurance can offer insurance products with quality protection and value pricing with all of your insurance needs including life, health, commercial, auto, and home. We also offer vehicle registration and notary services. D-Zone Insurance agents provide friendly customer services to our customers while giving accurate, and honest information that you can trust. We take the time to assist you in making the best decisions for the future of you and your family. 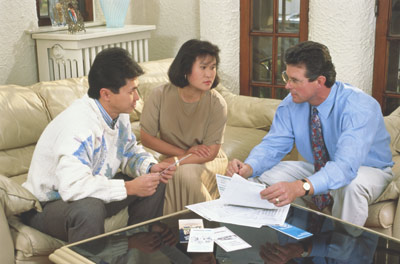 We also educate our clients about the workings of insurance.